LeakyCon Dallas 2019 will take place at the Kay Bailey Hutchison Convention Center. 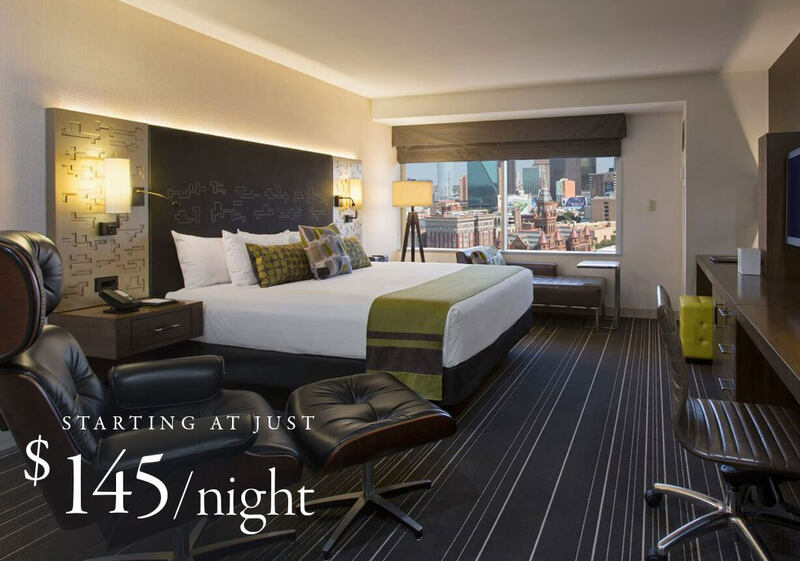 A limited number of discounted rooms are available at the Hyatt Regency Dallas starting at just $145 per night. Stay steps away from LeakyCon at the Hyatt Regency Dallas. The hotel is walking distance from the convention center as well as many other Dallas-area attractions. It features a health club, pool, a variety of dining options, and complimentary Wi-Fi in every room!